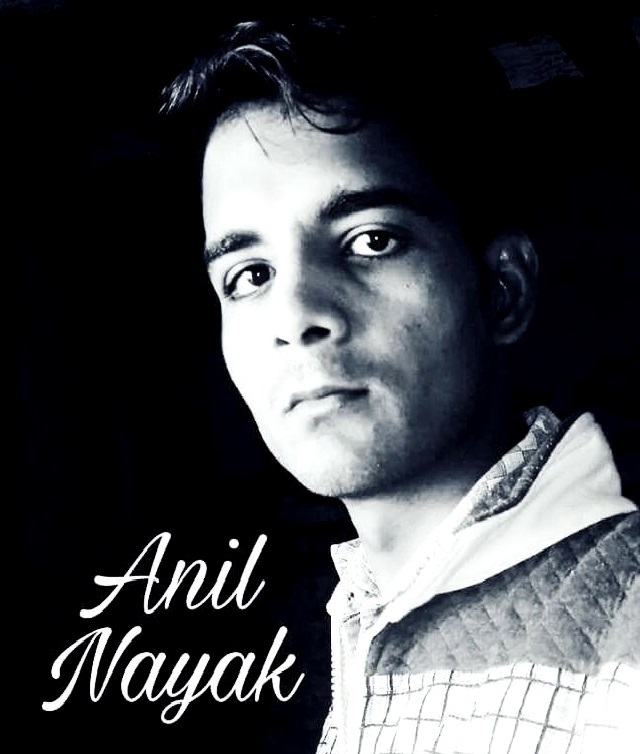 Anil Nayak is a Indian pop singer-songwriter, lyricist, musician and model. He predominantly sings in Hindi, Punjabi, Haryanavi and Urdu. Anil Nayak belong to Hindu family in Haryana, India. He was born 5 May 1993 in Sirsa, Haryana, India. Anil got married at the age of 18 year when he was studying in B.A. first year session. Anil has two children. His complete B.A. graduate from Indira Gandhi National University, New Delhi. He started song-writing in school time. Playing his guitar and singing was which soon turned into his passion and in your life in his the struggle and hard work, Nayak to become succeed. Anil Nayak with a simple personality continues to live an ordinary life. He speak the Hindi, Punjabi and Haryanvi. His music started was from school life. He wanted become a songwriter. But Anil recorded his debut song, this song composed and written by him. Anil released was as a singer-songwriter and composer. Anil's music is the theoretical idea that music comes directly from his heart. Anil also writes lyrics of other singers as well. Anil recently two souls full cover version, Pee Jaun (cover) and Kash Yeh Pal Tham Jaaye (cover).